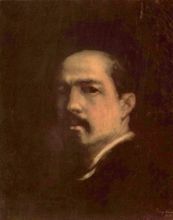 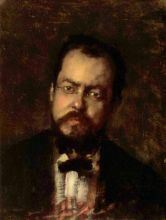 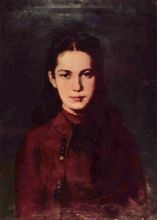 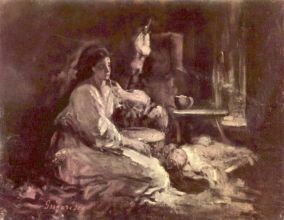 Nicolae Grigorescu (May 15, 1838—July 21, 1907) was one of the founders of modern Romanian painting. 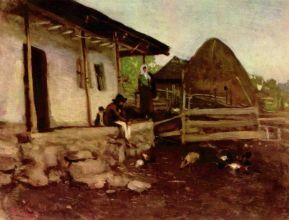 He was born in Pitaru, Dâmboviţa County as the sixth child of a family of peasants. 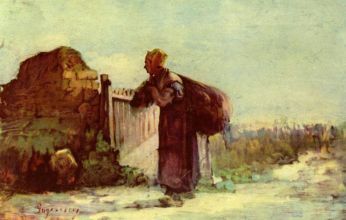 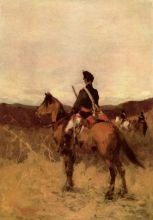 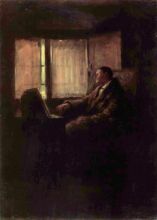 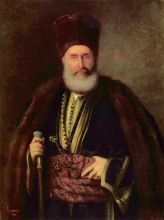 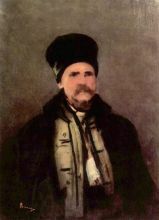 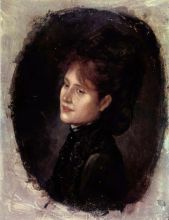 In 1843, when his father died, the family moved to Bucharest. 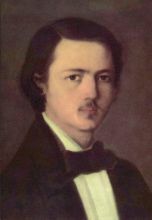 At a young age (between 1848 and 1850), he became an apprentice at the workshop of the Czech painter Anton Chladek and created icons for the church of Băicoi and the monastery of Căldăruşani. 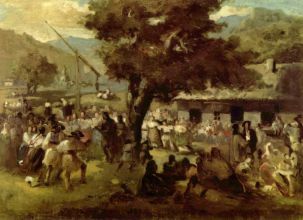 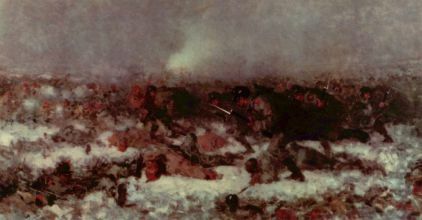 In 1856 he created the historical composition Mihai scăpând stindardul (Michael the Brave dropping the flag), which he presented to the Wallachian Prince Barbu Ştirbei, together with a petition asking for financial aid for his studies. 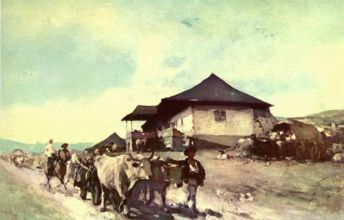 Between 1856 and 1857, he painted the church of the Zamfira monastery, Prahova county, and in 1861 the church of the Agapia monastery. 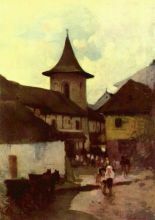 With the help of Mihail Kogălniceanu, he received a scholarship to study in France. 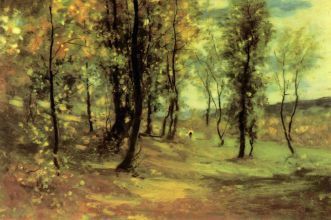 In the autumn of 1861, young Grigorescu left for Paris, where he studied at the École des Beaux-Arts. 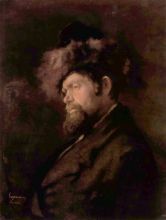 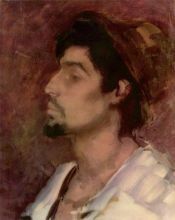 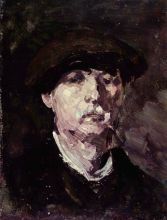 He also attended the workshop of Sébastien Cornu, where he had as a colleague Pierre-Auguste Renoir. 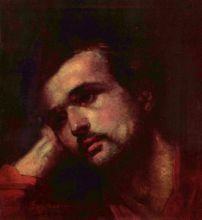 Knowing his weaknesses, he concentrated drawing and composition. 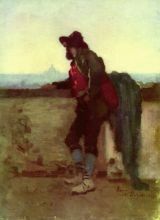 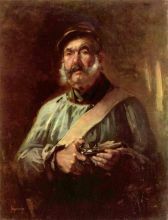 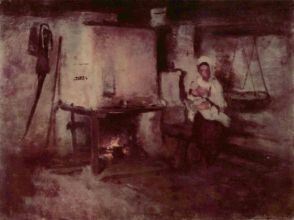 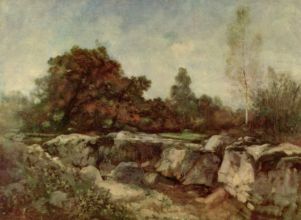 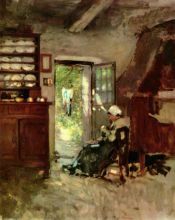 However, he soon left this workshop and, attracted by the artistic concepts of the Barbizon school, he left Paris for that village, where he became the associate of artists such as Jean-François Millet, Jean-Baptiste Camille Corot, Gustave Courbet and Théodore Rousseau. 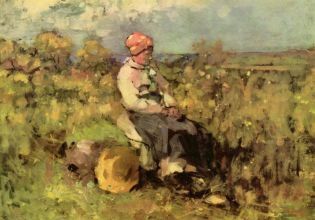 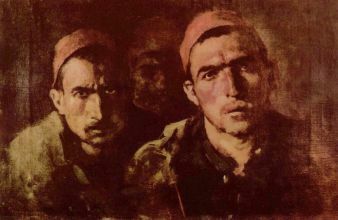 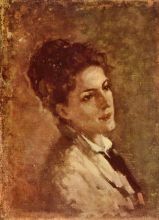 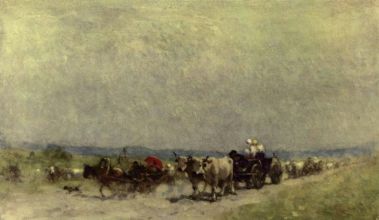 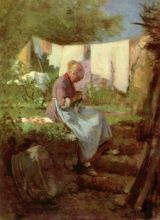 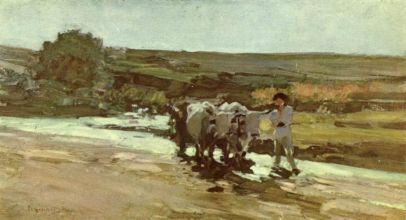 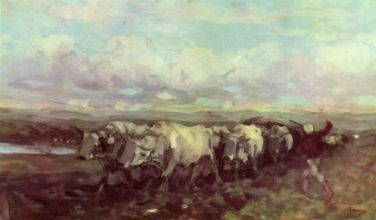 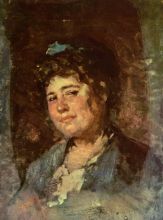 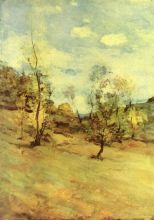 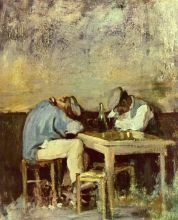 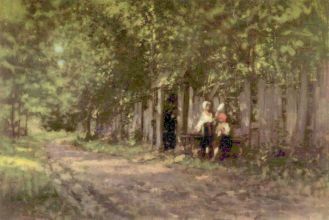 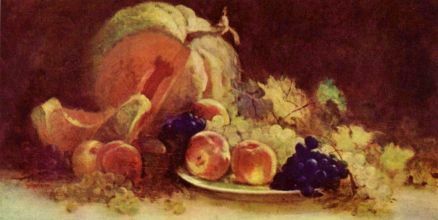 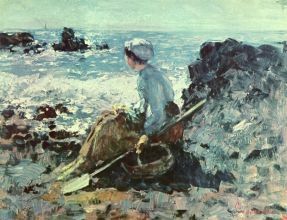 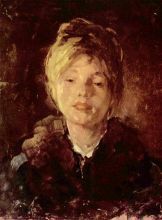 Under the influence of the movement, Grigorescu looked for new means of expression and followed the trend of en plein air painting, which was also important in Impressionism. 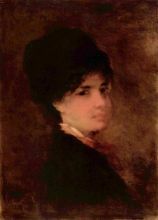 As part of the Universal Exposition of Paris (1867), he contributed seven works. 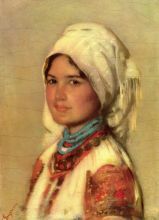 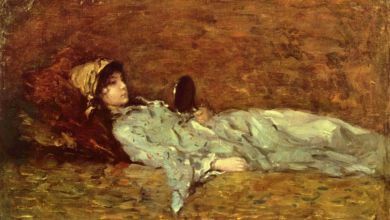 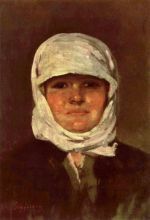 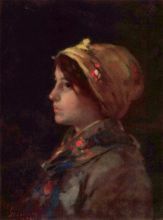 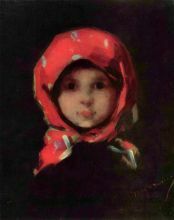 Then he exhibited at the Paris Salon of 1868 the painting Tânără ţigancă (Gypsy girl).